Child-friendly and beautifully illustrated game set for 6-years and up (Grandma and Grandpa included). 36 gift cards and game guides. 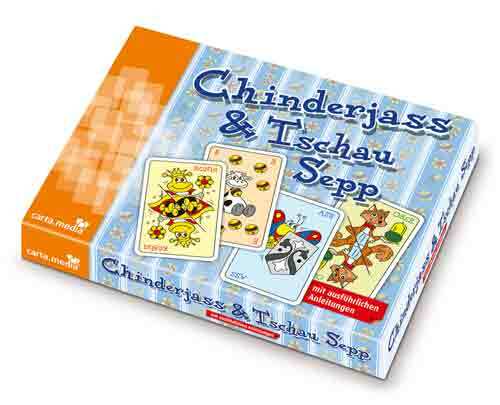 for 2-4 players and “teammates.” German design Jass cards, German language. Service Area: New Glarus, Janesville, Freeport, Sun Prairie, Machesney Park, Stoughton, Baraboo, Monroe, Oregon WI, Waunakee, Verona and surrounding communities.